Talk about honours even! In 108 years Fulham and Huddersfield have played 67 times, drawn 16, lost 26 and won 25, it could be worse. This game will be rather important for both teams as, at the moment, they are the worst two in the Premier League on the current standings. That is notwithstanding the handful of other clubs that are suffering at the moment, we cannot influence teir results but we and the Terriers will be busting a gut to get maximum points from this fixture. It could be an ugly match I fear. This one was certainly not for the connoisseur but who cares? Please forgive me fellow sufferers but to my huge surprise and disappointment, the first half of this season has been a complete and absolute shock to my system. 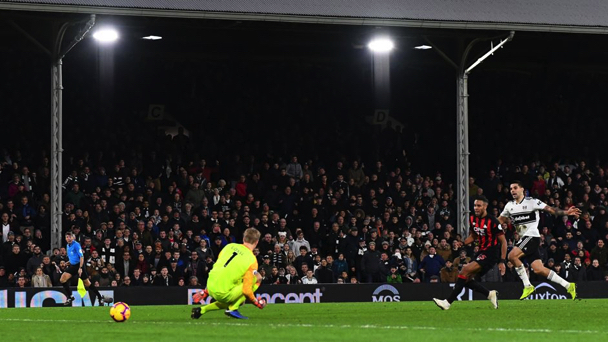 I'm a Fulham Fan so have never expected too much, I have lived through more FFC humiliations, disasters, dreadful football and relegations, together with my contemporaries, for me to ever lose faith, despite my frequent moaning. With all that in mind, I was looking forward to this rock-bottom clash with more trepidation than usual and, naturally, I wasn't slow in depressing all and sundry with my prophesies of Doom, Doom, we're Doomed! The first 45 minutes were without doubt the worst first half travesty known since ancient people kicked the head of a tribal war victim around in celebration (yup, I've been to Stamford Bridge too!) so really lived up to our worst expecetations, but hey, we didn't conceive. Bad as our lot were, Huddersfield were just as nervous and despite having a few more goal attemptes, really didn't damage us, Billing was looking dangerous and he came close with a shot that Rico fumbled, the ball dangerous making it's way to the 18 yard line but being thumped upfield by Odoi. We started to stitch together the odd move, although not to any major effect, with Vietto once again trying make inroads with some neat raids towards the Huddersfield goal, one ending with a lovely fizzing pass across goal which the onrushing Christie narrowly missed converting, this was after around a quarter of an hour. 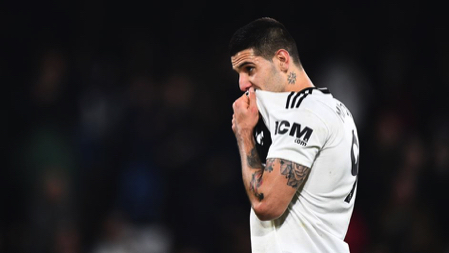 Six minutes later, Mitro came close when Seri finally did something properly and took a decent corner, Mitro soared over evrybody and it looked certin that he'd open the account. He bonked it way high into the void. hour. Sorry you purists, he may be rated by the 'experts' but so far he's managed to make Marlet look like the bargain of 139 years of Fulham History. 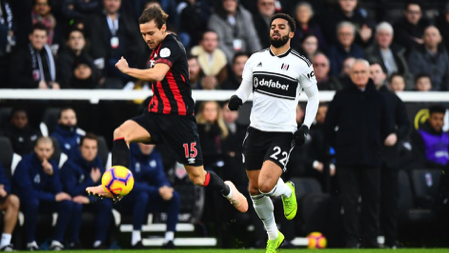 The half bored onwards in the familiar hapless fashion, Mitro missed with another header, Cairney fluffed a nice Odoi through-pass, then Huddersfield came close through Mounie who proved that his bad run without scoring is no fluke by giving Rico a little tame ball-gathering practice after meeting Hogg's cross. As the whistle neared all we could speculate on was who would replace Seri, a few of us suggested Parker. 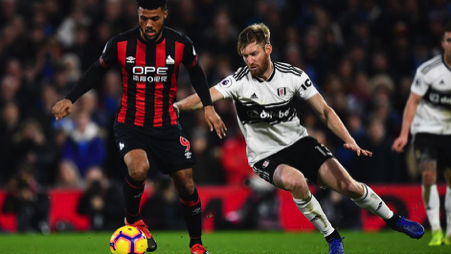 Surprisinly Ranieri removed Mawson as well as Seri, Alfie has improved with every game and he certainly hadn't made any serious errors but the formation was to be tweaked so Le Marchand came on with Kamara, there was no sign of Ryan Sessegnon at this stage. Kamara is one for whom I have a sneaking regard, he certainly gets involved but as he proved again, it's not just his unpredictability that makes him watchable, he is energetic and aggressive but seems to trigger a beam which switches off his ability to think or control the ball when he reaches 18 yards from the opposition goal, this game endorsed that feeling. The half started in a much more positive fashion for the Whites, now attacking the Cottage in the usual prefered way, unlike recent games when we've started the first half with our backs facing the Putney End. Luciano Vietto who was continuing the restart in a bright and determined fashion won a free kick, Christie, another who has improved beyond recogition since the early games, clipped the ensuing gift, delivering a promising ball goalwards which Chambers, yet another who is looking decent, just couldn't quite connect accurately with his header. Then, nearing the hour, Bryan who has looked better going forward, tamely passed the ball to the goalie, almost straight away, Alex Pritchard got the better of Christie in a dangerous rush to goal and Cyrus made a professional foul to halt procedings, earning out third yellow card alongside Seri and Odoi. Kamara took a neat Mitro reverse flick on 70 minutes to shoot a hard right footer stright to Lossi in the Huddersfield goal. 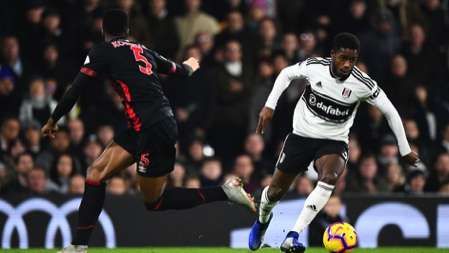 Vietto made way for Ryan Sessegnon almost immediately who was effervescent from the off, lifting the team with his enrergy and pace. Then, some frantic, bustling action in the penalty area, Kamara as usual stirring up a hornets' nest and causing a fluffed strike at the ball to hit a defender's raised arm for a handball call, the penalty award led to farcical scenes. 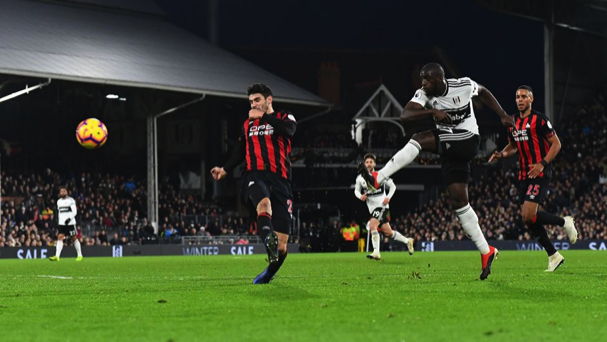 Kamara, obviously buoyed by his successful effort from the spot against Manchester United, had a major rush of blood to the head and grabbed the ball as if it was the Holy Grail and with eyes as wide as the English Channel and teeth clenched as tight as a duck's derriérre prevented Mitro from taking the ball, held off Ream as if he was mugging him, ignored Captain Cairney's counsel and behaved like a petulant child in the playgroung before finally, drmatically and trance-like placing ythe ball on the spot. One didn't need to be a Hollywood screenwriter to realise that he was obviously going to miss. To his credit, he didn't do a Southgate or Pearce, merely lamely struck it at an easy height and angle with little verve, the keeper was as surprised as we weren't! With around eight minutes to the 90 minutes, we nearly rued that petulance when the excellent Billings went close, then three minutes later Sess' smacke a left footer across the goal which went wide. Then it was Mitro's turn to miss, this time Ryan supplied the cross for our excellent Serbian's header. Then Rio, one of our regular buddies took his leave to catch the train back from Paddington to the West Country, we usually score when he pops down for a cuppa or a pee during the action so we kept our fingers crossed. It seemd unliekl=y as Huddersfield were making the running and a tense few minutes passed before an all-out push by Huddersfiled led to a cross not quite meeting the incoming Terrier forwards and our clearance started a couple of linking passes for out=r outrushing team, Ryan Sessegnon delivering a delicious defence splitting ball for a diagonally charging Mitro, who got goal side as he took control of the ball to slide it beyond the diving keeper, one nil! Cue all 11 of the Hudderfield team to throw everything at our goal, Lossi and all, a clearance which found Sessegnon in our half on the right wing nearly undid them but instead of banging it towards the empty net 70 yards away, he, biffed it Rugby style to touch. Then bliss, the ref blew after 4 minutes, three points and a clean sheet, whew! Our record against Town is restored and again we share the same tally of victories, draws and losses.